Celebrity fragrances, or ‘celebuscents’ as they are so often called, are the scorn of many a perfumista. The majority are cheap, thoughtless compositions with the sole intent of making a quick buck for a celebrity desperate to cash in on the latest trend. As you can imagine, most of the time the celebrity has very little input in the development of their fragrance, preferring simply to be ‘the face’ rather than ‘the brains’. There are of course exceptions, and some celebrities do insist on being more involved by playing the role of creative director. Celebrities such as Sarah Jessica Parker and J Lo are widely reported to have been directly involved with the creation of their early fragrances and this involvement shows in the final product. But these celebrities are few and far between. One brand in particular has taken the idea of the celebuscent to a new level by choosing to partner with unusual celebrities who take on the role of muse and work with the perfumer to create their fragrance. This brand is Etat Libre d’Orange, those funny French olfactory freedom fighters whose compositions feel like a breath of fresh air within the industry. 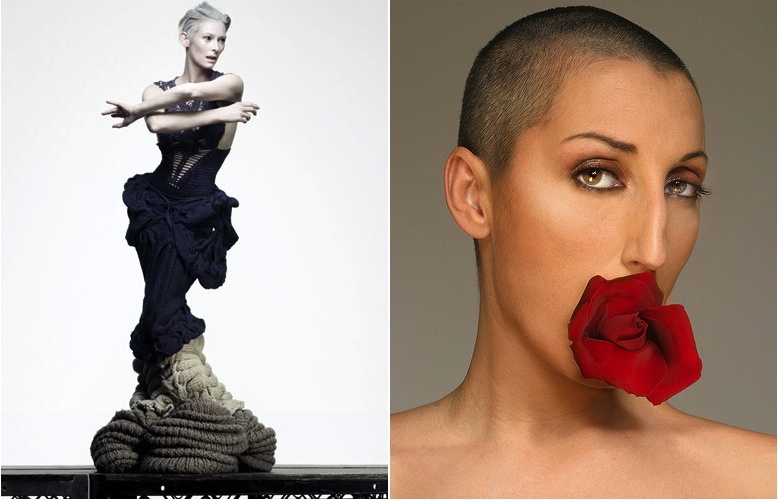 For their celebuscents Etat Libre d’Orange chose two unexpected, subversive celebrities; Oscar Winning British Actress & Androgynous Style Icon Tilda Swinton and Pedro Almodóvar’s Picasso-esque Muse Rossy de Palma. Two strong, unique women for a strong and unique brand. I am a HUGE Tilda Swinton fan, she has been truly incredible in some equally incredible films (I am Love and We Need to Talk About Kevin, just to name two). I love her oddball (but completely spot on) style and her so-not-Hollywood attitude. Tilda Swinton is a rare, exotic bird amongst a flock of celebrities that pale in comparison. Tilda Swinton’s Like This, created by Mathilde Bijaoui (Penhaligon’s Lily and Spice and Jacomo for Men), is one of the best fragrances to have been released in the last two years. It is a fragrance as strangely beautiful and grounded as Swinton herself. It speaks without pretence, declaring itself as the sum of its parts – an unusual beauty. With Like This, Tilda Swinton was inspired by the scents of home and the colour orange, owing to the colour of her hair at the time. The name ‘Like This’ comes from her favourite poem by Sufi poet Rumi. As you can imagine, this domestically-inspired fragrance is vastly different from the bazillion saccharine candy floss fragrances released by Paris, Hilary, Britney et al. Like This opens with fresh and über zingy ginger that doesn’t quite feel like ginger, as if the sourness of the mandarin takes something away from it and creates something new, a new kind of ginger with a soft papery quality. This sourness is quickly complimented by sweet pumpkin, think of freshly baked pumpkin pie and you’re on the right track. The most noticeable note is imortelle, that bizarre and complicated flower that smells of maple syrup, curry and burned sugar. Imortelle can be a tricky note, it can be too much or it can be absolutely divine (see Dior’s Eau Noire). In Like This the imortelle is used very cleverly and is matched to the many facets of the other notes; the burned sugar of the pumpkin pie, the sweetness of the rose and the spice of the ginger. It fits in seamlessly. Rose becomes more prominent in the dry down and it changes from being rather sweet to dry, earthy and dusty. The dry down itself is very warm and it has an unusual, but pleasant biscuit vibe that I cannot quite put my finger on, but I enjoy it nonetheless. Musk and vetiver add an earthy contrast to the sweetness and what’s left on the skin is a beautifully soft, musky shadow of everything that preceded it. What I find most startling about Like This is that despite all of its gourmand notes it doesn’t really feel edible. Instead it feels incredibly homely, like the smell of a warm country kitchen filled with the smells of baking, human warmth and the outside dragged inside – the humble smells of home. If this is what Tilda Swinton’s Scottish home smells like then somebody give her a call, I’m moving in! Rossy de Palma is the Spanish actress most famous for her role in Pedro Almodóvar’s Women on the Verge of a Nervous Breakdown (see it if you haven’t already!). Her Picasso-esque looks have led to her being dubbed as one of the world’s ugliest actresses, but at the same time have also led to her being a muse to fashion renegades such as Thierry Mugler and Jean Paul Gaultier. Personally, I find her to be absolutely striking and there is just something about her that makes you want to keep looking. This rose is blood red and shrouded in thorns. It is sour, uncomfortable and as Luca Turin put it so aptly, it has a “teeth-on-edge effect”  that is rather alien, yet quite enjoyable. This affect is achieved by the use of ginger and bergamot (sour) and pepper (prickly thorns), and is supported by earthy, camphorous patchouli and a metallic blood accord. Rose and patchouli are two notes that are often shoved together, they are a perfumers bread and butter. In Eau de Protection, the patchouli slowly outweighs the rose as if is taking over or corrupting the innocence of the flower. The rose is darkened further by a rather astringent incense that gives a bleak outlook for the overall survival or our rose. Bitter cocoa and sugar syrup make a surprise appearance in the dry down and they show a softer side to what could be described as a ‘dark rose’. The cocoa lingers on the skin after the rose is devoured by the patchouli, almost as if it was never really there in the first place. 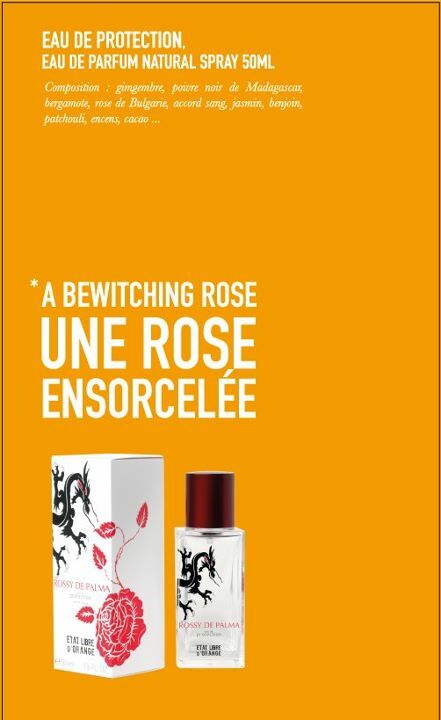 Etat Libre d’Orange describes Eau de Protection as a “bewitching rose” , and there is a definite degree of dark magic affecting this rose. It is a talisman carried by our unusual actress and shared with those who truly understand the beauty of flowers, of patchouli and of perfume. Tilda Swinton Like This and Rossy de Palma Eau de Protection are both available in 50ml Eau de Parfum with prices ranging from £59.50-£74. This review is based on bottles of Tilda Swinton Like This and Rossy de Palma Eau de Protection from my own collection. Perfumes: The A-Z Guide, p478. 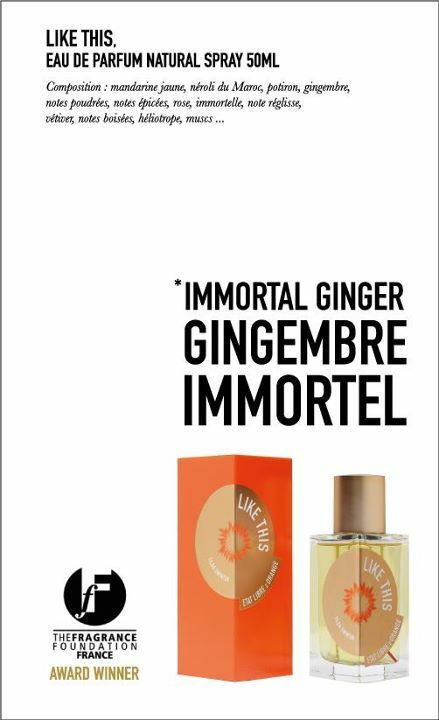 Posted in Celebuscent, Etat Libre d'Orange, Floral, Gourmand, Oriental, Unisex and tagged Celebuscent, Etat Libre d'Orange, Floral, Gourmand, Like This, Oriental, Rose, Rossy de Palma, Rossy de Palma Eau de Protection, Tilda Swinton, Unisex. Bookmark the permalink. Lovely reviews, you capture both the two actresses as well as the perfumes perfectly. There’s room for all at La Maison Swinton! I haven’t sniffed the Rossy rose, but I sure do like the sound of it. Those ELDO peeps are doing a nice job, IMO. Like This is absolutely amazing. I really cannot rave about it enough. Rossy is just as beautiful, if not a little more difficult to wear, which adds to the fun. ELDO are one of the most exciting brands out there. Love both women’s quotes. I’ve only tested these scents once but intend to go back on them. On trying Rossy de Palma for the first time (thank-you!) I made the mental note of “pungent rose”. Like This was brief and on paper so no lasting impression there but it was positive. I will forever think of Etat Libre d’Orange as “those funny French olfactory freedom fighters” now! And I’ve made a note to see Women on the Verge of a Nervous Breakdown, thanks for the recommendation. “Pungent Rose” is a very good description for Rossy de Palma, it has a strong acidity to it that really does carry. You must see Women on the Verge, it’s just so ridiculous it’s wonderful. I love Pedro Almodovar! An identikit blonde she is not, though like you say I believe that she is rocking a blonde ‘do’ atm. Rossy is wonderful. I’ll include some with your WA and L’Eau Froide! As someone who prefers the unisex-masculine scents over the girly girl ones, I love that you chose Tilda and Rossy. The two really challenge standard notions of femininity–they are fierce in a way that represents a very contemporary idea of a woman as independent but romantic, strong but sensitive. Keira Knightley and Audrey Tatou are the faces of Chanel, and although I think both of these ladies are drop dead gorgeous with their airs of young sophistication, they have a kind of delicate frailness about them that makes them completely non-threatening. I like Tilda and Rossy because they push the envelope and redefine what being a woman is by constantly skirting the edges of what is socially acceptable. Etat Libre d’Orange is the perfect perfume house to tackle the job. Tilda and Rossy really push the envelope, as do Etat Libre d’Orange so their partnerships are a perfect match. I have yet to discover any of the Etat Libre d’Orange scents – I think these two would be a great introduction to me. I love the idea of a homey scent that’s not edible or a gourmand, per se. And I need to discover more Immortelle fragrances – that flower really sounds interesting and it’s making me crave a curry, butternut squash soup. Also, I LOVE Rossy ever since I saw “Women on the Verge….” also that’s when I fell in love with Almodovar as well. A spicy, earthy rose – sounds like a fitting description of her beauty. Etat Libre d’Orange really is a great line and these two in particular are standouts. Both are perfect fragrance accompaniments to their muses.